A few days before Christmas in 1960, John Burgeson, a mid-level programmer at IBM in Akron, Ohio, called in sick and invented a form of computerized fantasy baseball. In the process, he also presaged the rudimentary concepts of sabermetrics. And in doing all that, he figured out that computers, which until then had basically been ice cream truck–size calculators, were portals to a virtual world and the future of gaming. He had a Christian awakening. He became a Stephen Minister specializing in grief and trauma counseling. He and his wife, Carol, had five children and then adopted three more from Korea. He retired after 35 years at IBM and moved to a tiny town 9,000 feet up Colorado’s San Juan Mountains. He wrote a series of op-eds for the local paper about global warming (“Global warming is real. This ought not be a political issue”) and homophobia (“It is a simple instance of well-meaning people writing bigotry into a state constitution in the name of God”). He watched an outrageous amount of baseball. While Okrent is indisputably the game’s father, John is its genetically distant forebear, and for the sake of historical correctness he recently decided to claim great-grand-paternity. In January 2009, just shy of his 80th birthday, John Burgeson logged on to Wikipedia and edited the entry for fantasy baseball to include this: “An early form of fantasy baseball was coded for an IBM 1620 computer in 1960 by John Burgeson, IBM Akron.” He appended some scanned documents confirming the game’s existence, and with them, he wrote himself into history. Of course, neither Burgeson nor Okrent profited from their inventions, but on that day, John earned a bit of credit for an idea lost in a filing cabinet for 50 years. In 1960, nobody cared about a computer wonk in Akron tinkering at his desk for his own amusement, and John’s game never caught on. It didn’t have Okrent’s breakneck season-pegged time frame, it was played on a prohibitively expensive machine — about $120,000 for the 1961 model, or just over $900,000 in 2012 dollars — and it wasn’t social. John’s version was a simulation game — you’re still the owner of a fake team made up of real players, but instead of gaining or losing points based on those players’ actual future performances, a computer generates its own outcomes based on the relative strengths and weaknesses of those players’ preexisting stats. It’s less about creating a dynamic competition grounded in real-life outcomes and more a hypothetical scenario run through a computer’s mainframe, which essentially makes it a digital version of Strat-O-Matic. So although John’s game certainly relied on elements of fantasy (“What if DiMaggio, Grove, and Dicky all played for the same team?”), it isn’t fantasy baseball as it exists now. But John seized on something Okrent didn’t factor in to roto ball — something that only became mainstream when Billy Beane started taking Bill James seriously. John, for no other reason than that it seemed like a neat trick, figured out that quantitative multivariable computer analysis could determine the relative merits of baseball players and figure out who would win a game. Using objective parameters like batting averages and RBI totals and slugging percentages, John was able to run a comparative performance test in an infinite number of fantasy scenarios. Twenty years later, James defined sabermetrics as “the search for objective knowledge about baseball.” John Burgeson was looking for just that. The Burgesons live in Lago Vista, Texas, a 50-mile drive northwest from Austin into deep canyon country. Along the highway gnarled cypress fields give way to boxes-on-a-hillside developments with names like Bella Vista and Drifting Leaf and Grand Falls. Everything is situated around Lake Travis, which is vast and man-made and partially dried up from this year’s drought. Lago Vista has seven churches in its nine square miles. John’s house is a hundred yards down the street from the high school’s baseball diamond, and he’d rather meet there than somewhere in town because “driving’s tough and old age is not for sissies.” So that’s what we do. John is tall and his wife is small. He walks hunched over a bit. He speaks softly with a bouncy drawl, as Garrison Keillor would if he’d spend some time clearing brush on a ranch. His hair is neat and his glasses are thick. His smile takes up his whole face. “So,” he says, after a firm handshake, “I suppose you’d like to see my baseball room.” Carol retreats to her quilting while John gives the grand tour. The room is a jigsaw puzzle, a collection of artifacts and memorabilia that, taken together, gives a fairly good explanation for why and how he made the game. But mostly John’s baseball room is his shrine. On the wall next to a small TV, John’s uncle’s Army-issued mitt (“Ancient!”) hangs next to his father’s George Sisler bat, which is bolted together in the middle where John broke it against his brother’s fastball. There’s a framed black-and-white glossy signed by the late Bob Feller, John’s boyhood idol. (“I saw him throw, and I fell in love with the game!”) One of his daughters-in-law waited two hours in line to get that for him. She, he lets me know, is a keeper. When John watches the TV in here, he holds a battery-operated gizmo that automatically updates every relevant MLB stat in real time, which makes it both an instant recapper and an oracle if you’re the kind of guy who can rapidly integrate new data to predict how a future play will go. “It’s really pretty neat,” he says, and gives it a pat. The article, posted to a SABR message board, is a lucid, good-natured, stats-based critique of anyone who takes stats too seriously. It’s a 3,000-word manifesto on the importance of chance — the kind of spiel that could (and would) only be written by someone who grew up in stadiums, watching how “the vagrant gust of wind, the rough infield, the insect that encountered the pitched ball” could render the most sophisticated calculations utter hokum. It’s a philosophical departure — and maybe counterargumentative hedge — for the man who built a program around stacked-up decimal points and nothing else. John and his brother Paul grew up playing baseball-simulation board games, which combined the randomness of dice with the on-field performances of individual players. In the 1940s, when John was a teenager, he started obsessively keeping records about the Cleveland Indians. After every game, for two years, he’d fill out a chart listing the pitcher, the hits, the walks, the strikes, and the score. He liked keeping records and so did Paul. Then, in 1948, John and Paul bought Put-N-Take Baseball, a marbles-and-nails pinball board that quickly became the stadium for their own imaginary league. John still has the game — he unsuccessfully tried to pawn it off on a few of his sons — and we head to the garage to play a few rounds. He strikes out, hits a foul ball, and comes a breath away from a homer. There’s some strategy to it, and a lot of hip swirling and locked-arm maneuvering, but it’s mostly a crapshoot. As he plays, his memory recall is extraordinary. I ask why he stopped. For a time, he did. But in the decade after putting down the pinball game, John Burgeson systematically trained himself to program its computational/binary equivalent. He majored in physics at Carnegie Institute of Technology, got his master’s at Florida State, went off to a Navy base in Panama to serve as a civil service physicist, sat in front of military computing machines for two years, and fell in love with programming. That year he moved to Akron, married Carol, had a baby, bought a nice felt hat, and spent his days accompanying computer salesmen on calls throughout Northeast Ohio. By the end of 1960, John’s life had slowed to an existential halt. Just before Christmas, he came down with a nasty flu. Bedridden, bored as all hell, and finally surrounded by a rare quiet, he thought about the IBM 1620, and how its algorithmic alacrity bordered on self-learning, and realized, maybe deliriously, that the machine had the capability of making a little baseball simulator. And so he stayed up all night and sketched out a flowchart about how this game would go. The next morning, he called his brother. Paul was ecstatic. They pooled their stats and got to work. John started staying late nights at the office, training his 1620 to integrate massive amounts of statistics to run baseball simulations. 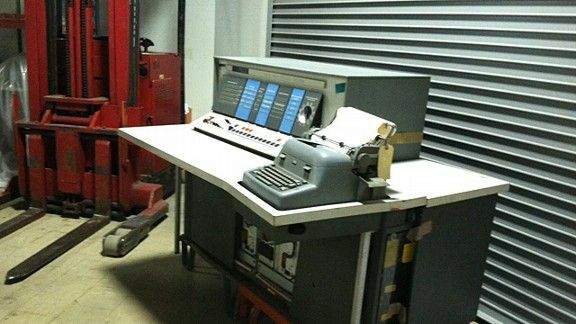 The game play was relatively straightforward: A “player” would insert a punch card into the mainframe and load paper into the machine’s typewriter. Then, like an autopiano, the typewriter would prompt the player to choose a roster of nine from a list of 50 players, all with short names on account of the machine’s relatively senile 20,000-memory-position data capacity — DiMaggio, Hegan, Grove, Kamm — and the 1620 would randomize the remaining players to make its own roster. Then, at about three characters a second, the computer would churn out a play-by-play baseball game. “My notes show that I made the first run on January 6 of 1961,” John says. “Of course, it wasn’t successful. It would crater and come out with absurd results. It wasn’t smart enough to know that if the home team was leading at the top of the ninth there wasn’t a need for the bottom of the ninth.” John would send his brother the botched printouts to analyze, and together they’d refine the stats and clean up the data. Six months later, they’d done it. The only 1620 in the country available for viewing is in a storage hangar at an IBM office complex outside Fishkill, New York. The complex is a sprawl of identical, brutalist buildings with labyrinths of corridors that lead to clean rooms and windowless offices and locked doors marked with biohazard signs. There, I’m greeted by Paul Lasewicz, IBM corporate archivist, who leads me into an enormous storage hangar where the old machines live under plastic tarps. It’s an eerie place, inert, echoing, cold. A hundred or so grandfather clocks3 retrofitted with oversize rotary dials hang in rows from ceiling to floor on the far wall. Dissected typewriters are splayed out on shelves. There are old power cords peeking out from under the tarps, and Lasewicz tells me several of the machines could be fully operational if switched on. This is electronic computing’s zombie graveyard. We step around a forklift parked in the middle of an aisle and stop in front of a covered mound the size of a Volkswagen Beetle. Lasewicz looks pleased. “That’ll be your 1620. Almost mint.” He unveils the machine. It’s a desk mounted with a cockpit dashboard attached to a typewriter. Nothing about it screams, “Play baseball on me.” Next to the “IBM 1620” decal on the mainframe, in faded pencil, someone had drawn a smiley face. Lasewicz hadn’t heard of John Burgeson before I e-mailed him to set up a visit, but when I sent him a copy of the game John submitted to IBM in 1961, he got excited. It was legit, he said, and it was part of an underground gaming movement that happened under lamplight at IBM offices in the ’50s and early ’60s. We walk down the aisles and he points out which ones have some secret fun buried in them. Lasewicz tells me there was an IBMer who programmed his machine to print out a picture of Jesus, and one who submitted a proposal for a simple card game. He pulls back a tarp from a 701. “During the early ’50s, IBM engineer Arthur Samuel programmed a checkers game on this guy.” We can’t find the 1401, which is a shame, because in ’64, an IBM maintenance engineer named Jóhann Gunnarsson composed a symphony by programming a sequence of tonalities built into it. There were the tinkerers and there were the sports wonks, who used computers as winning machines. In 1957 in a Revenge of the Nerds–befitting triumph, a physics student named Don Knuth built a program for the IBM 650 to help the 1958 Case Institute of Technology basketball team win the league championship.4 Throughout the ’70s, IBM sold programs to help scouts compare players and compile reports, and by the end of that decade, the Dallas Cowboys and Kansas City Chiefs were using IBMs to draft teams and organize game strategy. Back in Texas, John is in his study, squinting at the little Toshiba laptop on the desk he shares with Carol, pulling up a few saved files that chronicle what happened to the game after 1960. For all Paul Lasewicz’s retrospective cheer, shortly after John submitted the baseball simulation game paper to the IBM library, he got a nasty letter from someone at headquarters. “They said, ‘This is a game! 1620 computers are for data processing! We just can’t have this kind of stuff in the library, so we’re taking it out.’ Well, I thought there’s room for games, too.” John raises his eyebrows and keeps them up. “So I wrote back and I said, ‘Actually, my brother Paul helped write it, and he’s an IBM customer!’ Well, they read that and they had to keep it in there.” Carol laughs from the next room. Just as the 1620 was on its way to obsolescence, a radio personality from Pittsburgh named Rege Cordic caught wind of the BBC paper and wrote to John asking if he could run a game on air and how much John wanted for the rights to it. John was pleased — he’d always envisioned the game as a sort of real-time sportscast — but mostly he was baffled. He wrote back saying he wouldn’t accept any money for the BBC, and Rege, assuming John was stonewalling him, called to negotiate. I ask John about the rights to the game, the potential money, and he’s patently disinterested. John believes his program to be completely iterative and inherently flawed and in existence simply to be enjoyed and improved upon — it’s a prototypical open-source philosophy. I ask if he’s seen the current incarnation of the fantasy baseball universe and his features go neutral. Should we look at it now? Maybe draft a team? He closes the laptop and it’s time to say our good-byes. These days, John prefers not to dwell on what he did in 1960. He keeps busy, and he keeps moving forward. He’s writing a book about the history of the American automobile. He’s studying climate models out of MIT and NASA and the NOAA. He posts sprawling reviews of nonfiction best-sellers by Noam Chomsky and Carl Sagan and Peter Singer and Doris Kearns Goodwin. He watches cartoons with his 12 grandchildren. When John thinks about a more distant future, he thinks about baseball. In that article from the SABR message board on the limitations of using math to predict what happens in life, John describes the fully realized version of the game he dreamt up that night in Akron. Bess Kalb is a writer living in San Francisco. Her work has appeared in Wired, GQ.com, The New Republic, GOOD, Salon.com, and other publications. But there were others, too. At Harvard in the 1960s, the sociologist William Gamson started something called the “Baseball Seminar” league, where his colleagues would draft teams and compare scores at the end of a season based on players’ final batting averages, ERAs, and RBI and win totals. Professor Gamson would go on to the University of Michigan, where he played Seminar ball with professors there, including Bob Sklar, who taught Dan Okrent’s American studies seminar. According to Alan Schwarz’s The Numbers Game: Baseball’s Lifelong Fascination With Statistics, Sklar told Okrent about the league. And throughout his life, Jack Kerouac played an increasingly sophisticated subreality baseball card game using fictional players (with names like Gojo and Zagg and Wino and Pancho Villa), who played for made-up teams named after American cars. Apparently, none of his fellow Beats knew he was a closeted baseball fanatic. Paul would go on to become a Lutheran minister in Youngstown, Ohio. They’re hundred-year-old punch-card machines from when IBM was in the timekeeping business. Newsweek picked up the story and Knuth went on to have a brilliant career, receiving some of the highest honors in his field, including the Turing Award, the Kyoto Prize, and the National Medal of Science.